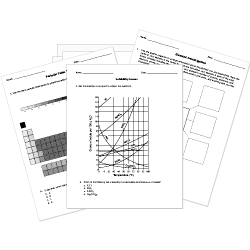 You can create printable tests and worksheets from these Continuing Education Chemistry questions! Select one or more questions using the checkboxes above each question. Then click the add selected questions to a test button before moving to another page. Proteins are made of amino acid . Sugars, starches, and cellulose belong to which major class of biological molecules? The building blocks of macromolecules. What is the most abundant element in the human body? In general, phenols are . [math](CH_2O)_n[/math] is the molecular formula for which type of macromolecules? What do we call the monomers that make up polysaccharides? Proteins are large molecules made up of individual amino acids. Polysaccharide is another name for which type of macro molecules? Animals store glucose in the form of . Consider the formation of hemiacetal cyclic form of glucose from the aldehyde form of glucose. The oxygen atom that becomes a part of the "OH" group on the #1 carbon atom in the cyclic form was originally, in the aldehyde form, . Of the following molecules, which are insoluble in water? Enzymes are proteins that help chemical reactions occur faster. is a structural carbohydrate found in plant cell walls. The general formula R-O-R' represents . Consider the following statements about the cyclohexane ring: Which are True? Molecules having the same molecule formula but different structural formulas are .